Glass tables have a number of undeniable advantages. In addition to the exterior attractiveness, the table with a glass countertop is very functional. Its surface is not scratched, it does not deform with time, you can put a hot cup on a glass table without fear of damage to it. At the same time, the number of options is great, as in the case of any other furniture. The shape of the table, the color, and material of the legs, the size, the finish, and much more are all different. Glass tables can have different purposes - dining, computer, magazine and any other. 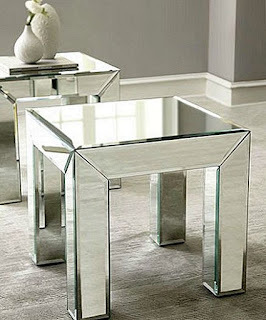 Transparency, shine, reflection, and flickering make glass furniture stunningly spectacular. Glass countertops for kitchen tables are made of transparent, matte or tinted glass. 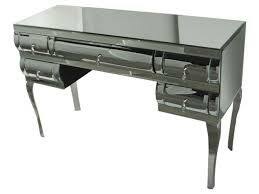 The base is usually for such tables - wicker, wooden, chrome or forged. Transparent glass table looks weightless. This makes it irreplaceable in the case when the goal is to visually increase the space. The glass table can become a harmonious component of the interior of the kitchen or other room, even in ethnic or country style. So, the glass table is very versatile: it is suitable for most interior styles, because the glass table does not dictate, but just performs its function, remaining almost imperceptible. Giovani Glass will advise you which glass is more suitable for your table, professionally cut and handle it under the existing frame and provide advice on the care of it. Many years of experience of our team and modern equipment are the main advantages. The glass table is a true conductor of the furniture ensemble, the correctness of which depends on the "sound" of the room. The main factor that should be taken into account when choosing a glass table is, of course, an analysis of the planning of the room in which the table will be put. In everyday life, dining tables from the glass are very easy to care, and do not require special attention. It is enough to rub it with a damp cloth - and your glass table is ready again to receive the company!